On her last visit, Angeli VanLaanen introduced our audience to the Lyme Light Foundation, with their beautiful, philosophic mission help children suffering with Lyme disease. This week, Angeli returns to Lyme Light Radio to share her own story of recovery from Lyme disease and her commitment to help young people with Lyme. Tune in to hear one of America’s Lyme survivors and a hero to so many of us! She is miraculous! This week on Lyme Light Radio, we will also be joined by Eileen Bendiksen of Reliv International. Eileen will share her passion for true, drug-free healthcare, and will introduce us to Lunarich, a natural, bioactive peptide that is a scientific breakthrough. Striking a balance between career and the rest of one’s life is not always easy. Especially when that career is a professional skier and involves endless travel, exhausting training and both physical and mental stress. But one athlete who has always been able to balance all that her career thrusts upon her with friendships, family relationships, health struggles and personal time is Angeli VanLaanen. Beyond that, she balances all of this with grace and kindness. Born and raised in Bellingham, Washington, Angeli grew up in the steep and deep terrain of Mt Baker, one of the most raw and soulful ski areas in North America. For Angeli, best known for her park and pipe prowess, it may come as a surprise that her true background and skill set is in her backcountry abilities. Chasing her older brother Cachaulo off cliffs and through deep powder snow in northern Washington, Angeli developed a strong technical ability for skiing. But while skiing was always a large part of family time, — you will likely still run into Angeli’s mom, Allain, on a chairlift at Mt Baker. She will be the beautiful and graceful woman with long hair who just dusted you — skiing wasn’t the only sport Angeli developed a passion for. Her love and accomplishment of ballet and figure skating can be found in her grace and fluidity on the mountain and her soccer skills and aggressive athleticism transfers to her hard charging ways on skis. In 2005, after graduating high school, Angeli decided to take a leap of faith and try her luck in the professional freeski arena. She moved to Colorado and began her foray into slopestyle and halfpipe training and competing. It didn’t take long for Angeli to find success. That year, at the Vermont Open, Angeli won her first halfpipe contest and placed second in the slopestyle competition. The following year, she won the Vermont Open again, solidifying her mark on the sport. She was rewarded with an X Games invitation the next year, 2007. Angeli has many accomplishments including her New Zealand Open and World Cup golds, her segments in movies such as Uniquely and 44 Days, and her many published photos in various magazines. But not one to ever be satisfied and rest on her accomplishments, Angeli is always in constant search of the next challenge and next adventure. In 2010 she set off for Haines, Alaska to attend a Heli Guide School. Later that year, she was the first woman to spin over the famed Mt Baker Road Gap and the photo landed in Freeskier Magazine as part of a nine page feature. Though all that was happening in Angeli’s career, she was struggling to find an answer to why her body wasn’t keeping up the way it should have. From bouts of fatigue to unexplained ailments such as dizziness and body pain, something wasn’t right. After seeing numerous doctors who misdiagnosed her condition for 14 years, Angeli was finally correctly diagnosed with Lyme disease in November of 2009. She was put on a strict regimen of medications — she got shipments of IV meds like most girls get shipments of shoes. While undergoing Lyme Disease treatment, Angeli was advised against competing. After 3 years of treatment she entered remission entirely symptom-free, and made an incredible comeback and competed in the 2014 Winter Olympics. 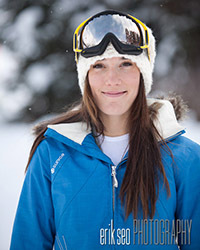 She now resides in Bellingham, Washington and is an official member of the US Ski Team. Eileen Bendiksen is a graduate of Mass. College of Pharmacy (Boston) 1978. She worked for CVS Pharmacy for 16 yrs. and was their ﬁrst female pharmacy supervisor. Eileen has been a Registered Pharmacist for a total of 36 years. As a child, Eileen was chronically fatigued and as she got older symptoms worsened. There was an increase in pain, bowel dysfunction, severe case of eczema, chronic migraines which started at age 9 and compromised immune function. Her children also had serious issues. Her older daughter had asthma, allergies, beginning stage of diabetes and a poor immune system. Eileen’s other daughter was diagnosed with Cyclic Vomiting Syndrome. She says that her children’s health was the catalyst that sent her searching for a non-pharmaceutical solution. Her search led her to Reliv International, a 26 yr. old company which is now the ﬁrst nutritional epigenetics company. They all received great health results. That was when the light turned on and the shift in her career took a whole different avenue. Her focus and understanding changed from reactive to proactive care and wellness directed. She lost her passion for pharmaceutics and wanted to educate and promote true healthcare! For the last 20 yrs. Eileen has been teaching and educating individuals about prevention of disease. She has been on radio throughout the last 18 yrs. WPEP in Taunton, WEZE, WROL, and Radio Luz in Boston. Angeli and Eileen will join us on Lyme Light Radio this Wednesday, July 2 at 1PM PT/4PM ET on WBLQ in Southern New England or at http://www.transformationtalkradio.com. You can listen to Angeli’s interview at http://thedrpatshow.com/shows/mak-140702-vanlaanen-30.mp3 and Eileen’s interview at http://thedrpatshow.com/shows/mak-140702-bendiksen.mp3. Both interviews are also available on iTunes. Those who have been infected with Lyme disease are often profoundly affected with emotional mental symptoms, besides the flu-like complaints and assorted physical symptoms. Children and teenagers very commonly manifest these psychological states with scant physical symptoms, leading doctors, parents, and teachers to label them disabled, autistic, depressed, or temperamental. Fierce anxiety spells, rageful anger, drowning depression, OCD, stammering speech, bi-polar mood swings,and phobias are all very common Lyme disease signs – even in a brand new, acute infection! This week I interview Jackie de Vries, MS, LMT, AIBT. who lends us great support with the very difficult emotional and mental aspects of this Lyme disease, which has the highest suicide rate of any illness. With many years of counselling Lyme-stricken clients, Jackie has a wealth of knowledge on just what happens to an individual’s brain chemistry with a tick-borne infection, as well as strategies for healing at their level. After completing a Masters in Computer Science at Columbia University and working in computer research, Jackie went on to graduate from the Barbara Brennan School of Healing, a 4 year college equivalent program teaching spiritual and energy healing in 1999. In 2005, following flu and tetanus vaccines and a significant life stressor, she experienced a major health decline, with muscle wasting, loss of speech and sensitivity to most foods. Jackie’s journey to recover her health and her cognitive function led her to learn about the role of toxicity and to utilize functional medicine, environmental medicine and many complementary modalities, including neurotherapy for health restoration. Jackie is a certified neurotherapist and a licensed massage therapist. She continues to leverage her research nature by investigating and evaluating promising healing modalities and wellness protocols. Her goal in clinical practice is to help each client find their path to wellness. Jackie is married and has two sons in college, both of whom have been shepherded through school with learning differences. She has lived in Mahwah, NJ for 30 years. 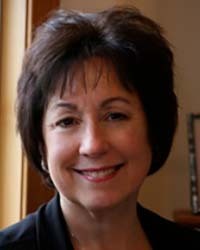 Jackie joins us on Lyme Light Radio this Wednesday, June 25 at 1PM PT/4PM ET, on WBLQ in Southern New England or at http://www.transformationtalkradio.com. You can listen to Jackie’s interview right now on iTunes or at http://thedrpatshow.com/shows/mak-140625-de-vries.mp3. It is my true privilege to interview a woman who is a foundation stone in the living history of the Lyme disease epidemic. 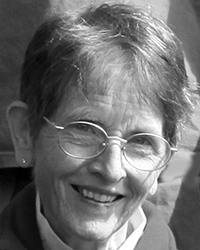 Phyllis Mervine started the first Lyme disease support group back in 1989. With her vision, hundreds of groups have sparked around the country. As a pioneer, Phyllis has gone on to create the vastly important monthly journal “The Lyme Times,” which shapes all the current civic, political, and scientific views around Lyme disease. Initially called CALDA – the California Lyme Disease Association – her organization has been known as LymeDisease.org since 2011. Their very active blog site “Touched by Lyme” is chock full of Lyme disease daily news. With a mission to provide patient advocacy and education, promote research, and effect political change, LymeDisease.org changes lives for the better on a daily basis. In this rare interview with Phyllis Mervine, I am deeply honored to learn from this great lady who has ushered in the modern Lyme disease movement. Phyllis Mervine was infected with Lyme disease in California in 1977, but she was not diagnosed until 1987 when she met the great Dr. Paul Lavoie, who saved her life. Dr Lavoie did a community survey of her neighborhood. This brought researchers up to my area and began a long association with them, and a lot of interesting information from their studies. She got a job coordinating local Lyme clinic, and started The Lyme Times. When the job ended, she wanted to continue so she asked the Santa Rosa Support Group for help forming a nonprofit, and several people volunteered. They kept up The Lyme Times and organized medical conferences and public forums for many years. 2001 was an important milestone for LymeDisease.org. Herb Dorken became their lobbyist – the first and only Lyme lobbyist in the country. He was able to pass several pieces of legislation to help people stricken with Lyme disease. 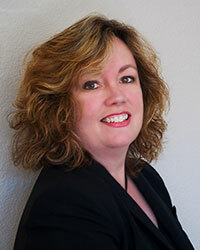 A game-changer for the organization came when Lorraine Johnson, JD MBA, joined in 2003. Just 3 years later, the CT AG launched his civil investigation of the IDSA. This was Lorraine’s project. She has now published over 40 papers on Lyme disease, including the recent largest ever survey of people with chronic LD, and holds important positions on national healthcare policy groups. In 2012 Phyllis was given a Jefferson Award for public service. The Lyme Times is celebrating its 25th anniversary this year. Lyme disease is wreaking havoc world-wide. I got a touching email from Belgium Lyme Support telling me how much they value Lyme Light Radio with Katina each week, savoring the news our brilliant guests share. They gather together to listen to the show and discuss. This truly touched my heart~~ to discover this wonderful radio show is reaching around the globe and bringing such resource to so many in need!! The crazy hours I keep, the generosity of our talented guests to lend the time, knowledge and passion to us all for free. WOW! The synergy is amazing and so very worth it, to think we are creating dialogue and affecting CHANGE~ as my opening music conveys. This week we welcome back a very Lyme seasoned practitioner. 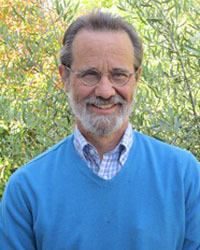 Dr. Wayne Anderson is a renowned naturopath at Gordon Medical Association with three decades of experience in treating tick-borne diseases. He will explain to us how mycoplasmas are the culprit in many Lyme cases that do not fully recover. Many ‘Lyme’ cases stall and do not fully recover. Dr Anderson’s experience pinpoints one of the ‘co-infections’ ticks also infect us with, mycoplasmas!! Get ready to learn a TON!! Lyme disease is a serious infectious illness caused by a bacteria, borrelia burgdorferi. Once believed to be a short term conditions succinctly eradicated with 2 weeks of antibiotics, clean and simple as strep throat, we have harshly learned the ugly way– via 40 years of clinical findings and millions of people in the USA alone suffering in various states of illness, collapse and emotional and mental anguish, that Lyme takes chronic forms. This cousin to syphillus worms its way swiftly from bloodstream to connective tissue, joints, organs and glands and finally to the spinal fluid and brain— damage can be profound and even deadly. This illness needs the SPOTLIGHT now! Education, research, support on personal, medical and societal levels is needed yesterday! We must push onwards and bring change— listen to my beautiful theme song in my intro to each program. 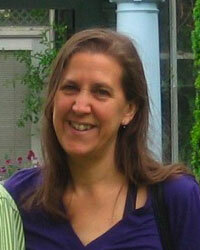 Susan McCamish is a Certified Traditional Naturopath, Nutritional Consultant and Herbalist. She has a well deserved reputation for creating effective herbal blends and individualized protocols for people with chronic complex illness including, Lyme, Autism, Chronic Fatigue, environmental toxicity and more. She is a regular speaker at conferences, and her products and protocols are used internationally by prominent holistic and Lyme literate MD’s and Naturopaths.